Magnolia ISD School Board policy requires an annual physical. This physical needs to be performed on or AFTER April 1st of the year that fall sports begin. Physicals performed in the fall of the year before will NOT be accepted. Magnolia High School will host school physicals on May 22th at the end of the school day. Physicals are $20. All paperwork must be completed before the student can receive their examination. 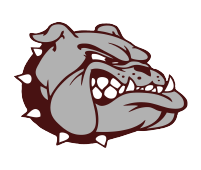 Athletic paperwork and pre-participation forms for Magnolia ISD is online. It is mandatory that all 7th-12th grade prospective student-athletes fill out UIL and MISD paperwork before they will be allowed to participate in any practice or contest before, during or after school, including tryouts. The website is designed to stream line the process, and conserve valuable resources. You will need to go to arbiterathlete.com and complete the electronic participation forms and print the medical history and physical form to take to your physician. 2. After both parent and student accounts have been created be sure to “link” them together. 3. Select ALL of the sports that you may be interested in participating in during the upcoming school year.